In 2015, Fifth Third Bank invested over $2 million in charitable contributions to West Michigan. With over 2,000 employees in West Michigan, Fifth Third logged over 13,500 hours of board service and volunteer time to over 450 local nonprofits. When considering charitable contributions, they’ve identified three priority areas: housing, education, and economic development, and Fifth Third Bank sees the Community Foundation as a partner in each area. One of the ways they impact the local housing sector is through their Fifth Third Bank Affordable Housing Fund, a field of interest fund that’s part of our Community’s Endowment. “We see housing as one of the most basic human needs. Stability is so important. As lenders, we understand that a stable housing environment is critical to parent, child, and family success, which is why this is a focus area of ours,” noted Scott Lubbers, Community President at Fifth Third Bank. “Education goes hand in hand with housing. Our local kids are our future, and without stable housing, education becomes an uphill battle. By connecting on both of these, we can help set our kids up for educational success,” noted Lubbers. One strategy they have to invest in local education is their scholarship fund at the Foundation, the Fifth Third Bank Minority Scholarship Fund. “For many on our team, we remember those college years, and how that little boost from a scholarship made a big difference in helping to launch us into our next phase of life,” said Lubbers. To further their economic development impact for the long term, Fifth Third established an unrestricted fund that’s part of our Community’s Endowment, the Fifth Third Bank Fund. This fund enables the Foundation to respond to a wide variety of needs and opportunities as they arise. “We’re planting the seed now with our Community’s Endowment, and our community will see the return on that investment for many years to come,” Lubbers noted. While Fifth Third Bank is a regional player with multiple locations, we certainly feel how much they care about West Michigan, and specifically Holland/Zeeland and its long term future. Lubbers shared that the Fifth Third team views our Community’s Endowment as Holland/Zeeland’s savings account, which is quite a relatable concept in the banking industry. “We consider ourselves a trusted advisor and partner to our customers. We suggest budgeting within one’s means while also planning for tomorrow with prudent savings, and we want the community to follow that same concept with its savings account, our Community’s Endowment,” said Lubbers. When the Foundation launched “Today. Tomorrow. 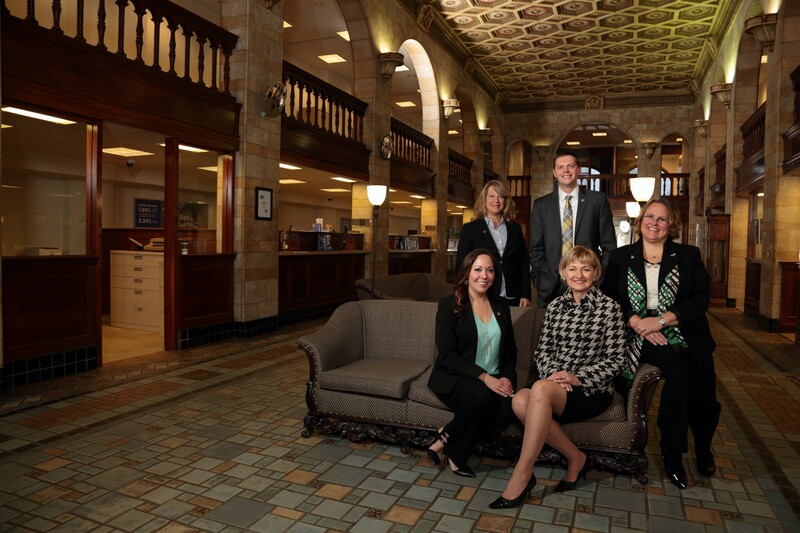 Forever.” to grow our Community’s Endowment in 2015, Fifth Third Bank stepped up to contribute, and so did many of the individuals on the senior leadership team.